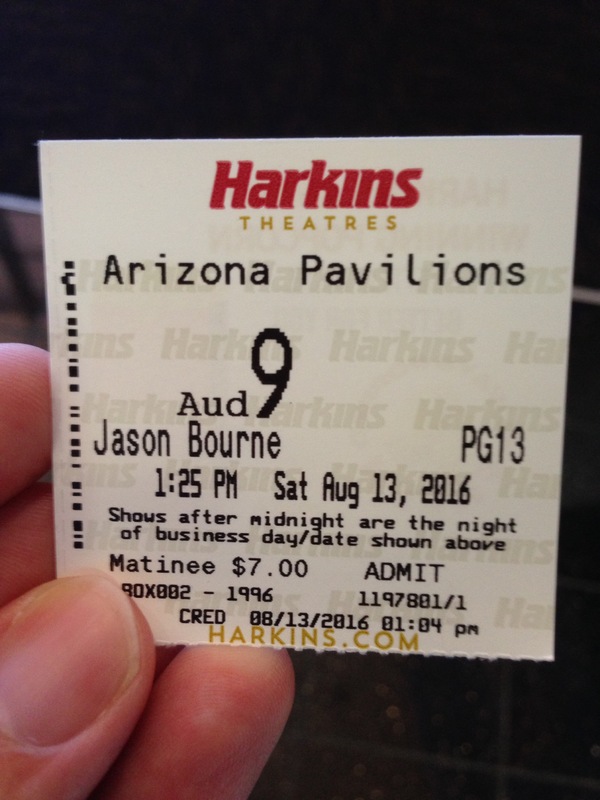 This entry was posted in Today's Movie and tagged bourne, jason bourne, matt damon, the bourne identity, Today's Movie by lovepirate77. Bookmark the permalink. I was somewhat disappointed as well, though not as much as you. I thought the plot was ‘meh’, the stuff with Bourne’s father felt rushed and forced (why should we care about his father when this is the first we’ve heard about him? ), and I’m sad that once again they killed a female character just to advance Bourne’s story. But I enjoyed the action, and Tommy Lee Jones and Alicia Vikander made good additions, though like you I miss Pamela from the previous movies. The Social Network plot felt a little too plucked from the headlines, like a desperate attempt to be relevant. I didn’t hate it, and I wasn’t bored, but it was definitely a long step down from Ultimatum. So that’s my quick review. Hopefully I’ll find the time to write a longer one soon.